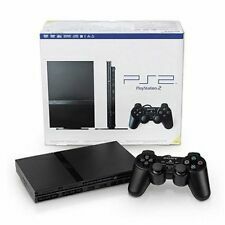 Showing results for "playstation 3 bundle"
ITEM: PlayStation 2 - The Naked band Brothers (New) Bundle CONDITION: Item Is Brand New. (See Photos For Further Details) INCLUDED: What You See In The Picture Is Included. NOTES: Look At Pictures For Actual Condition. Feel free to contact me with any questions.Thanks for looking. Good Luck! For sale is the following item: Activision DJ Hero Bundle for Playstation 2 See pictures for contents. This item has never been opened, the outer box has minor dings. Please look at the scans for the game condition. Payment and Shipping: We accept Paypal only. We will ship the item on the day the payment is received (excluding weekends and holidays). Thank you for looking at our item! For sale is the following item: Activision Guitar Hero 5 Bundle for Playstation 2 See pictures for contents. This item has never been opened, the outer box has minor dings. Please look at the scans for the game condition. Payment and Shipping: We accept Paypal only. We will ship the item on the day the payment is received (excluding weekends and holidays). Thank you for looking at our item!